The LSU Law Center established a joint J.D./C.L. program under which its graduates receive the J.D. (Juris Doctor) and a C.L. (Graduate Diploma in Comparative Law) upon completion of the 94 credit hour, six-semester course of study. To graduate, all students must satisfy the requirements for both degrees. Both the J.D. and the C.L. are first-level professional school degrees. The Joint Degree Program is designed to strengthen the Law Center's leadership role as curator of the Louisiana Civil Code and of the Civil Law generally; extend recognition to Law Center graduates, who, in order to master both the Civil and the Common Law Systems, must satisfy one of the nation's highest course credit hour requirements; and position the Law Center as a leader among American law schools in the globalization of its curriculum. The “very inexpensive” Louisiana State University Law Center boasts “the highest bar-passage rate in the state” pretty much every year and a unique program where graduates receive both a JD and Graduate Diploma in comparative law that provides “exposure to both common and civil law.” You’ll leave LSU Law with a Juris Doctor as well as a graduate diploma in comparative law, which is a mélange of European legal traditions. “The focus on the civil law at LSU is a definite plus because most of us remain in Louisiana to practice,” explains a 2L. “It’s a much different approach to problems than our common law colleagues use, and the training in the civil law happens early and often.” The “first-year curriculum is rich and very demanding.” Contracts, torts, civil procedure, constitutional law, and all your standard 1L courses are required. Students must also take course work in Louisiana’s codes of torts, civilian property, and much else. After first year, “2Ls and 3Ls [are] more free to specialize and take advantage of the practical law courses available that would be applicable out of state.” Some students complain that there aren’t nearly enough electives, though. “LSU is small and so the range of courses available isn’t very broad, and it’s not always clear when a course will be taught.” “Some courses offered in the school’s course booklet haven’t been offered in years,” gripes a hardened 3L.“The classrooms and facilities are phenomenal.” Class attendance policies are “relatively stringent.” It’s a good thing, then, that the academic atmosphere is generally “excellent.” “The great thing about LSU Law professors is that many of them have been incredibly influential in the development of Louisiana law,” observes a 1L. “In preparing cases for classes, you can’t help but notice how often the courts have relied on your professor’s doctrinal works in formulating their decisions.” “While some are intent on using the Socratic Method at all costs, most use it simply to ensure that you are paying attention and can answer their questions when called upon,” relates a 3L. Not all faculty members are fabulous, though. “LSU has some of the best,” advises a 2L, “but a couple have to be the worst.” Outside of class, most faculty members are “more than willing to talk to students.” “They are all accessible if you try a little bit.” A few students tell us that the administration “emphasizes bureaucracy,” but the overwhelming sentiment here is that top brass “truly works for the students” and is “remarkably responsive to the student body.”LSU Law offers “an abundance of opportunities to be involved” in journals and advo­cacy programs. There are clinical programs in immigration law, family law, mediation, and juvenile representation. 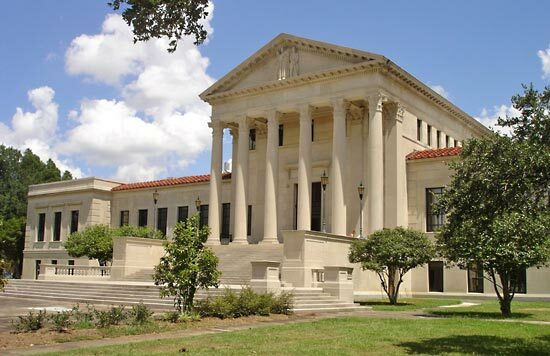 “A well-connected externship program places second- and third-year students with justices and judges in the Louisiana Supreme Court and the U.S. Fifth Circuit Court of Appeals, among others,” adds a 3L. A study abroad program in Lyon, France, is also popular. Over 150 employers recruit here each year, but opinion regarding LSU Law’s ability to help students find jobs is split. Critics tell us that the Career Services office displays “callous indifference toward students who are not in the top five to ten percent of the class.” Other students say that Career Services is “in touch with you from the beginning” and “goes the extra mile to help students and find oppor­tunity for them.” “This school does everything it possibly can to ensure that you pass the bar and get a job,” beams a confident 1L. Want more info about Louisiana State University, Paul M. Hebert Law Center? Get free advice from education experts and Noodle community members.